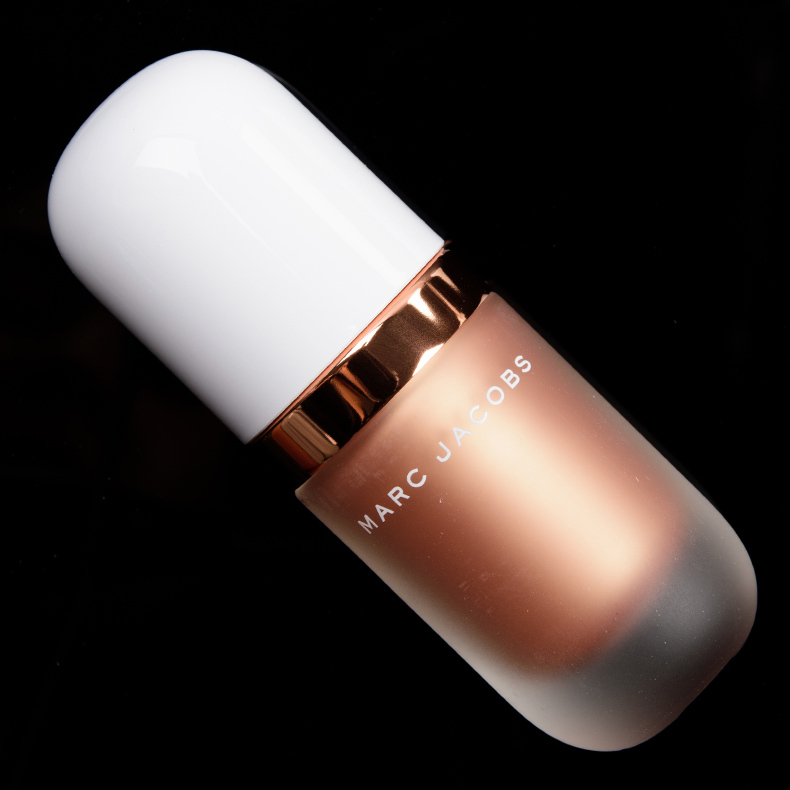 Whether you want to achieve a lit-from-within glow or want to blind the people around you with how shiny your highlighter is, this is the place to start! We’ll cover how to apply powder and liquid/cream highlights, the different types of highlighters available, and how you can achieve subtle to intense results. What is highlighting in makeup? What is a highlighter? Highlighting is applying a brightening or reflective product onto the high points of the face in order to reflect light. 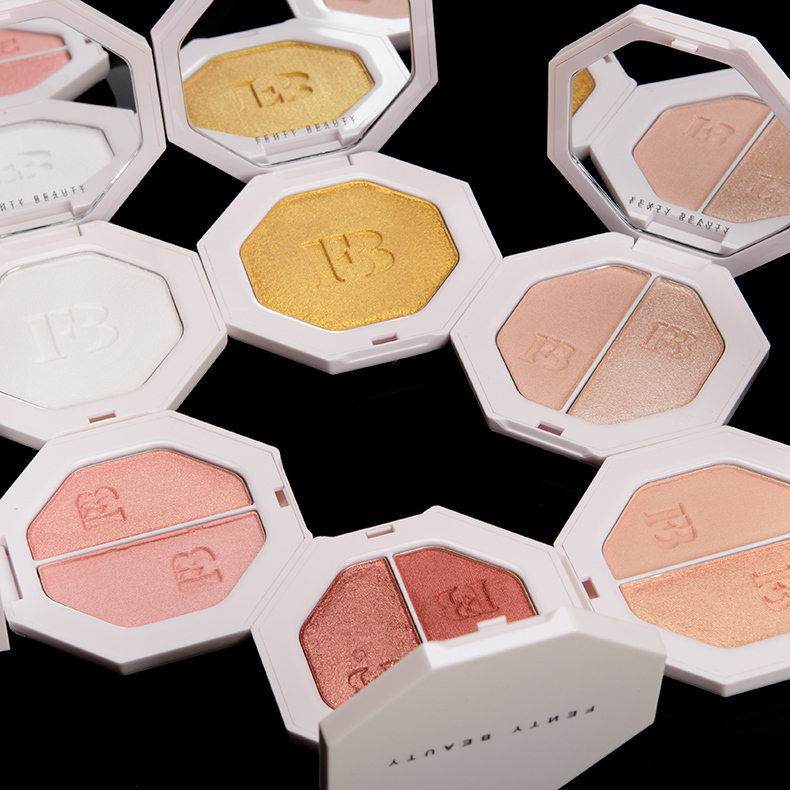 It is possible to low-key highlight with a more matte product (one that is lighter than your natural skin tone), but highlighting in makeup most commonly requires some sort of shimmer, shine, or “glow.” Highlighting is much like it sounds like; it is highlighting certain areas (and then de-emphasizing other areas by drawing attention away). Highlighting is often paired with contouring, which adds definition and shadow to the face. A classic example is defining and highlighting cheek bones where a contour sits under the cheek bone slightly to make them appear more prominent and sharper, while a highlight continues in the same vein by making the actual cheek bone stand out even more. 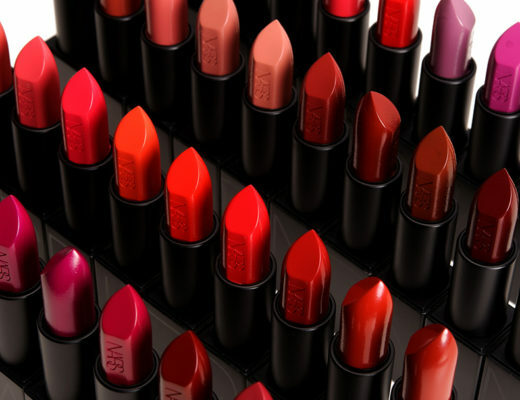 Remember, one of the few rules that I believe in when it comes to makeup is… there are no makeup rules. It’s supposed to be fun, and it’s your face/body/eyes/lips/whatever so you do you. The below is general advice and often is a good starting point, but if you don’t care about a highlighter emphasizing your pores, rock that sparkly, metallic highlighter and enjoy it. DRY SKIN — Naturally, more emollient highlighters tend to sit better on dry skin without emphasizing dryness or catching on flakiness. These will be denser, more silicone-heavy powder formulas along with the more expected liquid and cream options. You’ll want to look for marketing buzz words like creamy, smooth, shiny, and wet. OILY SKIN — Oily skin types often notice their pores (and their size) more often, so chunky, more metallic highlighters can emphasize the texture of the skin, particularly the size and appearance off pores, so opting for smoother, more refined textures and finer shimmer in one’s highlighters can help minimize this effect. You want to look for marketing buzz words like subtle, glow, luminous, and lit-from-within. TEXTURE SKIN — Like oily skin types, highlighters can emphasize any natural texture found on the skin, so if that is a concern for you, you’ll want to opt for finer shimmer, more emollient textures, and less chunky sparkle/glitter. You want to look for marketing buzz words like subtle, glow, luminous, and lit-from-within. NORMAL SKIN — Lucky for you, the world is your oyster — it’ll come down more to preference than a specific type or formula. These are all typical areas where one can apply highlighter but keep in mind that it’s all about your face and what you want to highlight–you don’t have to do all of them by any means. In my experience, powder highlighters are the easiest to apply as they tend to blend out with little effort and are easily accessible in a variety of shades, formulations, and at a slew of price points. Also, if you’ve never tried a powder highlight but own eyeshadow, you likely have a shimmery, highlight-type shade eyeshadow in your arsenal that could just as easily be applied to the high points of your face. Choose a more refined, more luminous, and less sparkly powder highlighter to start with. 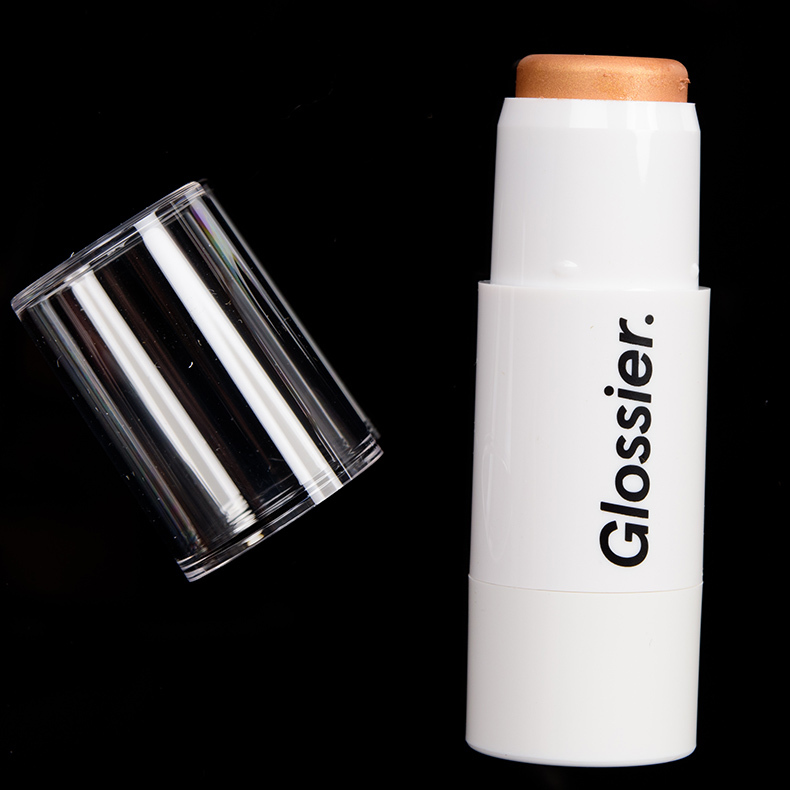 You’re looking for a highlighter that isn’t blinding but has enough sheen or shimmer to still have a noticeable effect. Choose your tool! Fan brushes are ideal for the lightest, sheerest application of product, so if you want to start off sheer and build up or if you only want a subtle glow, choose a fan brush (I likethe Wayne Goss Brush 15, $25; Sonia G. Sculpt Three, $32; and IT #116, $18). Tapered brushes are the “standard” for highlighting and for good reason; the tapered end works well for applying and blending out highlight, particularly on the cheeks) and can yield moderate to heavy application, so they are quite versatile (I like the Wayne Goss Brush 02, $35; Hakuhodo J5521, $38; and Real Techniques Setting Brush, $7.99). You can also try a small, flat brush (I like the Wayne Goss The Air Brush, $35), which I find most ideal for subtle to moderate highlight on the cheeks as well as under the eyes. Use a lighter hand! If you find yourself more heavy-handed, hold your brushes toward the end of the handle, which will give automatic reduction in pressure. The rest is just practice and understanding that heavy pressure will pick up more product and then deposit more product. With makeup, it’s typically better to use a light to moderate pressure and build up to desired intensity and coverage as it’s easier to build than it is to reduce later on. Sweep on the product in a fluid motion by starting in one space and then gently spreading the product across the area. For the cheeks, it’s often best to start toward the center of the face and then diffuse and spread the powder highlight toward the outer area of the cheek bones. For the brow bone, this would be to start just before the arch of the brow (closer to the nose) and pull up and down just beyond the arch (for maximum lift). Use translucent powder to soften your highlighter. If you find that the effect ended up too shimmery, a dusting of translucent setting or finishing powder can help mattify and soften the look of the shimmer without taking it away entirely. Choose a more metallic, sparkly, and shiny formula. If you’re going for intensity and high-shine, it’s better to start with a more intense highlighter instead of building up a subtle one using ten layers of product (unless you’re just trying it out or it’s a one-time thing, then use what you have!). Less layers means less chance of cakiness and emphasizing of texture. Choose your tool! Tapered brushes are the “standard” for highlighting and for good reason; the tapered end works well for applying and blending out highlight, particularly on the cheeks) and can yield moderate to heavy application, so they are quite versatile (I like the Wayne Goss Brush 02, $35; Hakuhodo J5521, $38; and Real Techniques Setting Brush, $7.99). Use a moderate hand! Unless you’re working with a very stiff formula, a heavy hand shouldn’t be necessary to achieve high-shine results. A moderate hand will pick up more product in a single application and allow for efficient blending but should not disturb any base or complexion products underneath it. If you’re too heavy-handed, it can result in more uneven application or lifting up your foundation (which then causes patchiness). Apply your highlighter wet! Most highlighter formulas can be applied with a dampened brush, but if you’re unsure, you can always pick up product with a dry brush, then spritz your brush with water or setting spray before applying to your cheeks. Powder highlighters applied wet typically take on a more intense, more reflective shine as it almost melts the powder onto the skin. If you’re just learning how to apply liquid highlighters, there can be a bit of a learning curve, especially if you’re trying to get a more intense effect or if you tend to wear a lot of matte foundation or heavier coverage base products. Liquid highlighters share a similar application method as cream highlighters, but I’ve separated the two as they can be a little different at times. 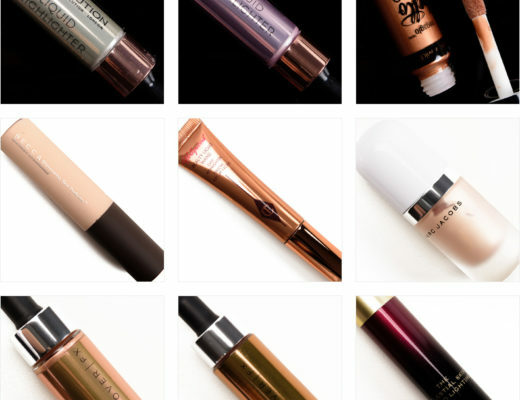 Decide how you’re going to incorporate liquid highlighter into your routine. Liquid highlighters are rather versatile; they can be mixed into your foundation, primer, or moisturizer for an all-over luminous effect, or they can be applied like powder highlighter to specific areas. They can be applied all over the face after primer (not mixed in) and so forth. If you just want to mix in, you’ll have to experiment with the right ratio for your desired effect, but there application is pretty much the same as how you’d apply what you’re mixing it in with (e.g. you wouldn’t change how you apply your foundation, you’d just be mixing in the highlighter with the foundation prior to applying it). Choose your tool! Frankly, I prefer fingertips when it comes to cream and liquid highlighters. They are just efficient, effective, and easier than brushes–they are more reliable in my experience. I do like brushes, and for drier formulas, sometimes brushes can be more forgiving and minimize patchiness, so for liquid highlighters, it’s about a 50/50 chance I’ll use a brush. I do prefer a brush when working with very pigmented liquid formulas, though, as the brush is better at getting a sheerer application. You’ll want to choose a synthetic brush, and I like more traditional, tapered highlighting brushes or slightly flat, domed-shaped brushes (I like the Real Techniques Setting Brush, $7.99 and MAC 159S Duo Fibre Blush Brush, $35). Pat on product across the area you want, don’t sweep. For liquid highlighters, I like to pat on the product, let it sink in/absorb/set slightly (there’s usually more time to play with liquid highlighters compared to cream highlighters) before I get to blending. I find sweeping motions are more likely to disturb base products underneath the highlighter, so patting the product on in gentle pats across whatever area you’re hoping to have it on is better than sweeping in a fluid motion like I prefer for powder highlighter. Because of this, it’s better to pick up a small amount of product and then pick up more product as needed to cover the area to your desired intensity level. You’ll also want to try to get an even layer of product and then build up just where you want the effect the most intense at the end. Use gentle buffing motions and pulling motions to disperse/spread product. I like using the edge of my index or middle finger to gently work the highlighter into a seamlessly blended application. The edge is clean of product, so I’m not adding more, and it has the right level of natural texture to move product without disturbing my base. When I work with a brush, I use gentle, buffing motions and gently pulling the product beyond the initial edge to diffuse and get a gradual blend. 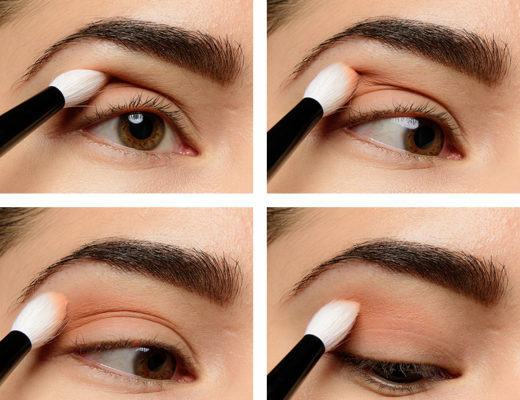 You’ll probably want to skip the setting powder. Or apply setting powder prior to your liquid or cream highlight. 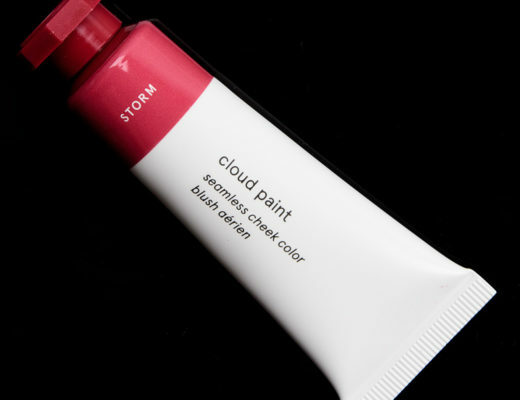 Most liquid and cream formulas perform in two days: they go from wet to dry (and pretty much set themselves) or they stay wet (as wet as they go on or be a little less wet than the initial application). You can absolutely applying setting powder over a wet-to-dry formula, but it may not be necessary. For a formula that stays wet or glossy on the skin, setting powder can make the application uneven as the glossy highlight will almost “eat” the powder; you’ll also lose the wet effect, which is sort of the goal of that type of formula. 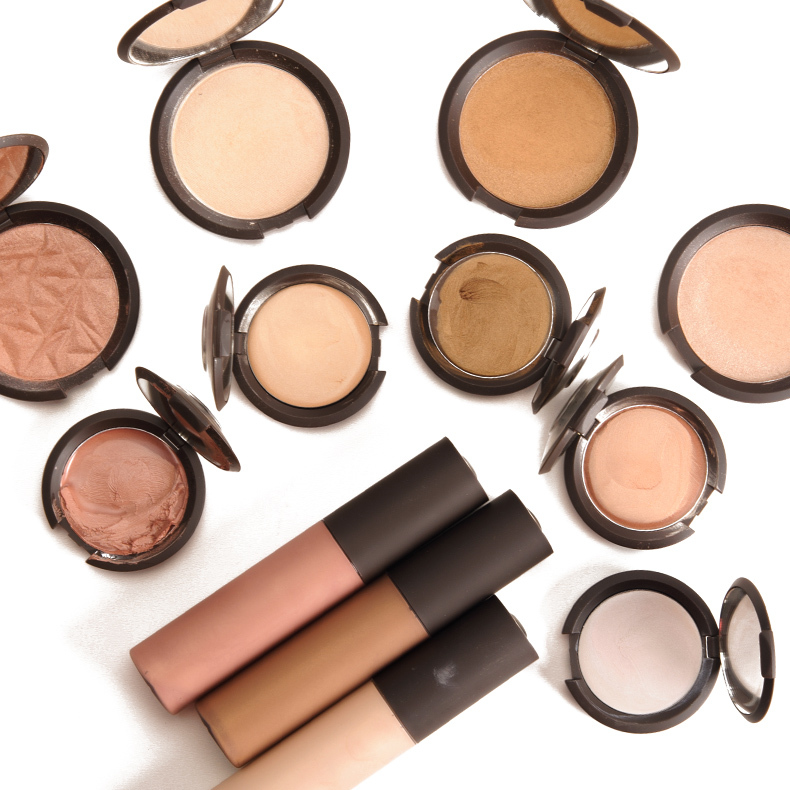 Pair your cream highlighter with the right base/complexion products. If you’re applying your cream highlighter prior to foundation, you’ll want to choose something with sheerer coverage or else you’ll just waste your time covering up all that highlight anyway! Similarly, an ultra-matte, totally flat, quick-to-dry foundation tends not to play as well as a more emollient product layered on top. I recommend picking something with a natural matte finish and working quickly to get the cream highlighter on it before it fully dries down. You can always use a setting powder to mattify the areas you want matte for your base. Choose your tool! Frankly, I prefer fingertips when it comes to cream and liquid highlighters. They are just efficient, effective, and easier than brushes–they are more reliable in my experience. I do like brushes, and for drier formulas, sometimes brushes can be more forgiving and minimize patchiness. You’ll want to choose a synthetic brush, and I like more traditional, tapered highlighting brushes or slightly flat, domed-shaped brushes (I like the Real Techniques Setting Brush, $7.99 and MAC 159S Duo Fibre Blush Brush, $35). Pat on product across the area you want, don’t sweep. I find sweeping motions are more likely to disturb base products underneath the highlighter, so patting the product on in gentle pats across whatever area you’re hoping to have it on is better than sweeping in a fluid motion like I prefer for powder highlighter. Because of this, it’s better to pick up a small amount of product and then pick up more product as needed to cover the area to your desired intensity level. You’ll also want to try to get an even layer of product and then build up just where you want the effect the most intense at the end.